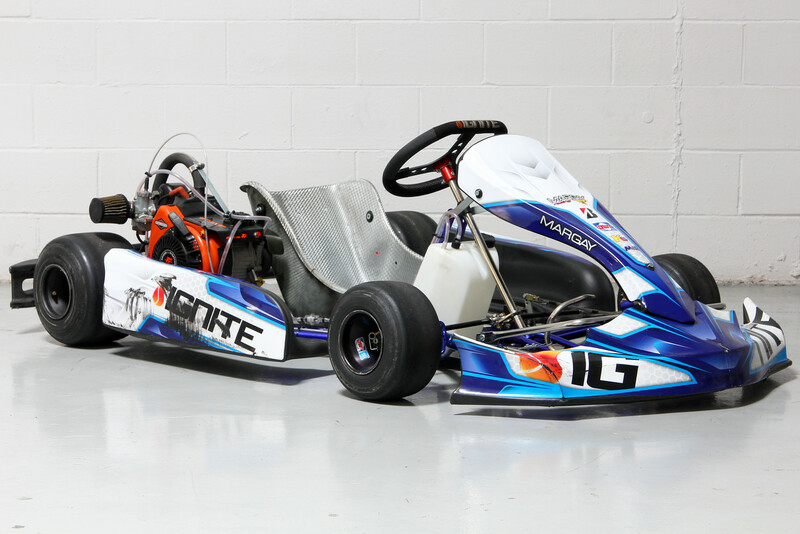 Our used karts are factory reconditioned and ready to hit the track. We're happy to install your choice of engine package on any rolling chassis listed below. Seats, wheels & tires and bodywork can also be changed to meet your specific requirements. Click on the links or images below for more information on each kart. Hit the top of the podium with this premium cadet chassis option. Equipped with the popular Briggs 206 motor, although it can be used with virtually any cadet related engine package! This chassis is best for a cadet 4-cycle or 2-cycle driver. Looking for a Junior or Senior Yamaha package? This 1.15ck is a podium machine and comes with all the pieces to get you on the box! Looking for a Junior or Senior KA100 package? This Brava 100 is a podium machine and comes with all the pieces to get you on the box! 1 race weekend of use! Only 3 race weekends of use! The popular Ignite K3 chassis, the fastest growing engine and most widely used club tire in the US make this package a perfect starter kit for anyone trying to get into kart racing. A true turnkey package, tuned and prepped by Margay Racing, all you have to do is add gas and go! This chassis is best for a junior or senior 4-cycle driver. The popular Ignite K2 chassis, the fastest growing engine and most widely used club tire in the US make this package a perfect starter kit for anyone trying to get into kart racing. A true turnkey package, tuned and prepped by Margay Racing, all you have to do is add gas and go! This chassis is best for a cadet 4-cycle driver. Race safe - always wear an approved helmet, helmet support, suit & gloves.